Patrick Tatopoulos, the Production Designer for Batman v Superman: Dawn of Justice, tells us about how he came up with the new design for the Batmobile and other stuff he's worked on. Is the Green Lantern Corps Dead? The Green Lanterns are trapped in a universe beyond the Edge of Oblivion. So in this clip, Jason interviews writer, Tom Taylor, about their struggles to get home and the terrifying new adversary they must face in order to even have a fighting chance. In this animated clip, we are treated to an exclusive snippet from Teen Titans Go! 's upcoming Saint Patrick's Day episode, just before getting the inside scoop on the creative team's writing process from producers, Michael Jelenic and Aaron Horvath. In this clip from #DCTV, Hector gives us the low down on Gotham, Lucifer, and DC’s Legends of Tomorrow, all without a spoiler being uttered. Bless him. Batman v Superman: Dawn of Justice is nearly here, so to celebrate, DC Comics is releasing a bunch of fabulous variant covers celebrating the movie. Check this out to find out if your favorite artist has created a must-have cover for your collection. Plus, we also get a sneak peak on this week's DC’s Legends of Tomorrow. Over the years Doctor Hugo Strange has proven that he's one of the oldest and oddest villains in Batman's rogues gallery. In this segment, we take a look back at his unique comic book history, before his debut in next week's episode of Gotham. Do you want to know more about Hugo Strange? If so, check out this clip where Hector Navarro tells us what to expect from his TV debut, which is accompanied by the icy introduction of a certain Mister Freeze. 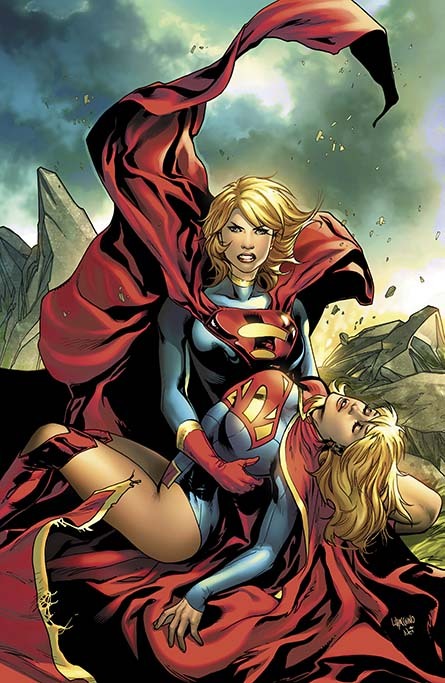 We also get a double dose of Supergirl too. Simply because this week's Supergirl guest stars Laura Vandervoort who played the role of Supergirl on Smallville. If music be food for the soul, then what does that make superhero themed music? Food for action? In this episode, Jason talks to the composer, Blake Neely, about his work on Arrow, Flash, and Supergirl, talking to him about scoring the biggest heroes on the small screen. On top of that, we also check out the latest comics from DC and Vertigo, plus toys and collectibles. As jovial as this may sound, Swamp Thing is now going back to his roots! Figuratively speaking, of course, and quite possibly literally. In this clip, our Tiffany talks to Len Wein about his co-creation, Swamp Thing, and discusses with him his plans to broaden the story and finally reveal what's at the heart of Alec Holland.